Thank you to everyone who watched while the video was live! It was a struggle to get started but it all worked out in the end. Please scroll down to the last image (with the play button) to watch the replay. On Friday night the audio and video were not synced and the picture was choppy. We finally gave up after 3 tries—but I kept working on it overnight and all day Saturday. If you haven’t guessed by now, Persistence is my middle name. I finally found a way to broadcast again but it was exactly 24 hours later than I planned. 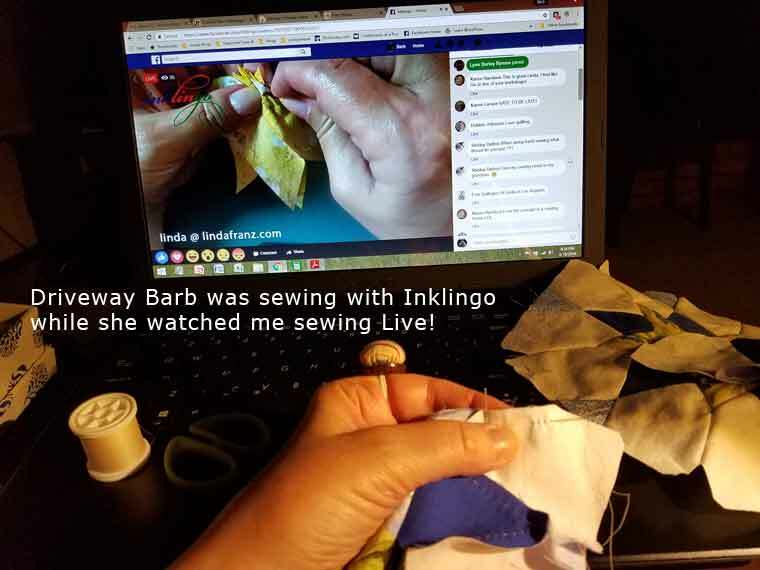 Thank you to everyone, like Barb, who came back to sew with me. This is my longest, most demo-rich live video so far. It is jam-packed with great info. There is something for everyone. 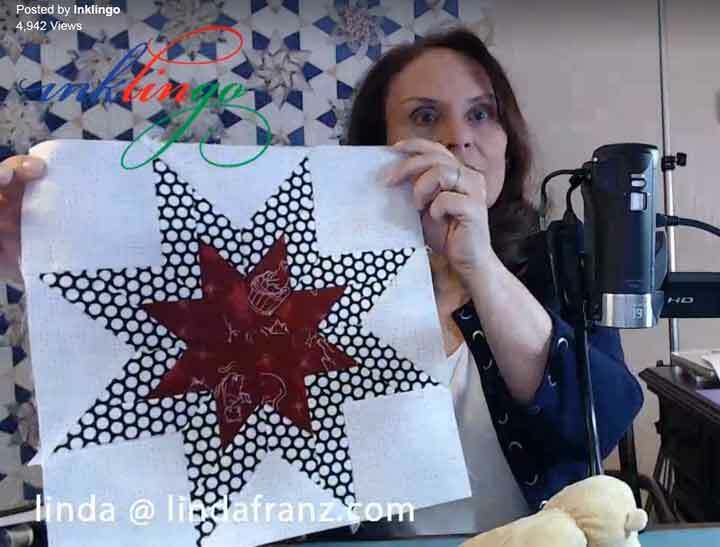 I demonstrated simple Inklingo techniques for printing on fabric and sewing stars by machine AND by hand—or with a combination of hand and machine stitching. 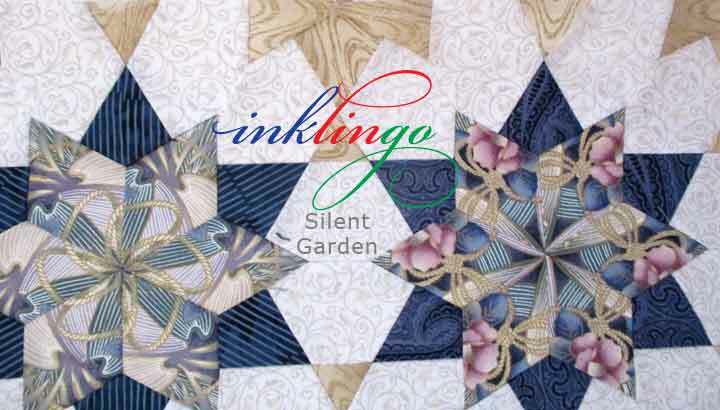 What to do when a shape is not inklingo-able (yet), like the partial diamond on the side edges of my Silent Garden. If you are new to Inklingo, I showed what you can do with the free Diamond Triangle Square shape collection. 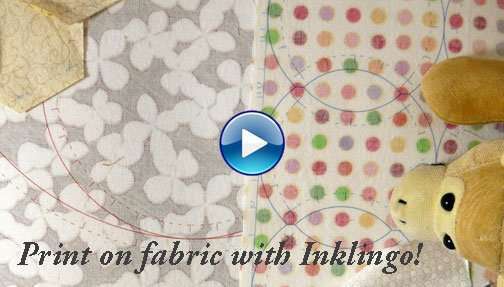 I have heard from a few long-time Inklingo quilters who say this was a good review for them too. Did you know you can still buy washtubs and scrubbing boards on Amazon? 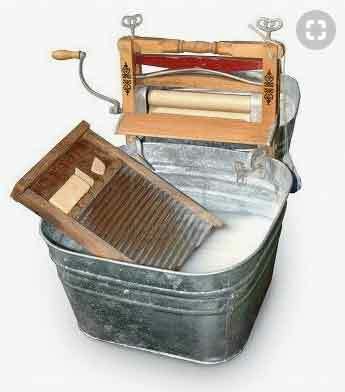 That doesn’t mean it is the best way to wash fabric or quilts. I feel the same way about acrylic templates. You can still buy them in 2018. Wow. Who would have believed it. 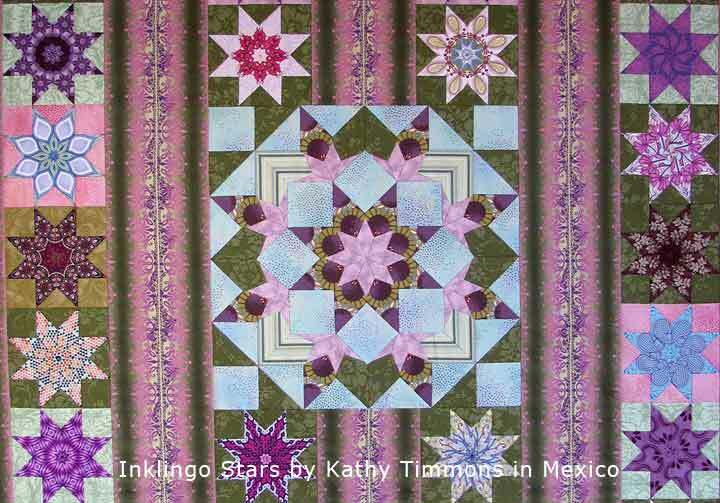 Kathy in Mexico’s Flickr album of Inklingo 8-pointed stars (fussy cut) The photo above is just a small section of it! Visit the album to see close-up photos of all of the stars. HOW DO YOU KNOW WHEN WE’RE GOING LIVE AGAIN? Yahoo Groups and subscribers did not get emails this time. The message sent to Yahoo Groups was delayed several days for some unknown reason. The most reliable way to know what is new is to subscribe to the blog by email. I spent several days last week getting issues fixed there, so emails are being delivered again. Some quilters had not heard from me for a long time but it is fixed now. It is a good idea to check the Inklingo Facebook Page frequently. IMPORTANT You cannot count on Facebook to show you anything from Inklingo anymore, even when you have liked the page. Facebook changed the rules in January. 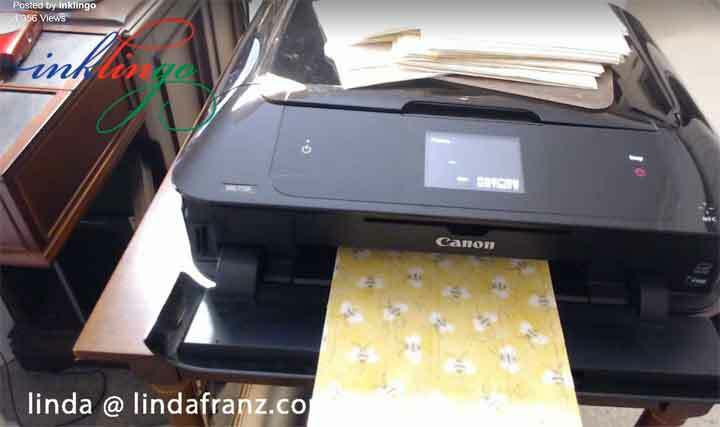 They pester me all day long with messages asking me for money to show my photos and videos to the people who have already liked the Inkingo page. I only break down and pay for ads occasionally, so if you don’t visit on your own, you will miss what I share there.. 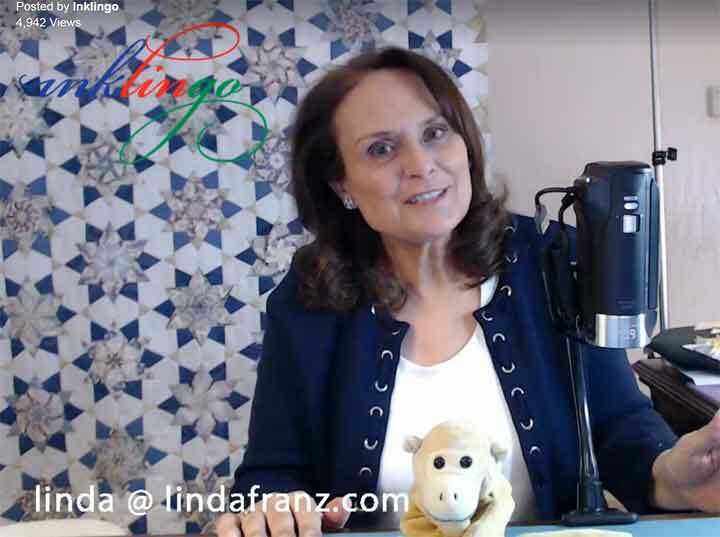 Please share the Inklingo videos with your friends. This one, on the Main Beginner’s Page is only 8 minutes and it explains how Inklingo works. As I mentioned in Live 07, I am thrilled that I was able to edit Live 01 and Live 02 to remove my rookie mistakes (wrong camera view, overlapping audio). I think I can post those on YouTube. I’m still figuring out how to do that. Persistence. I am learning with each new video. When I watch the replay, there are always things I think I could do better next time. It is a huge learning experience for me and I hope each video is Time Well Spent for you. 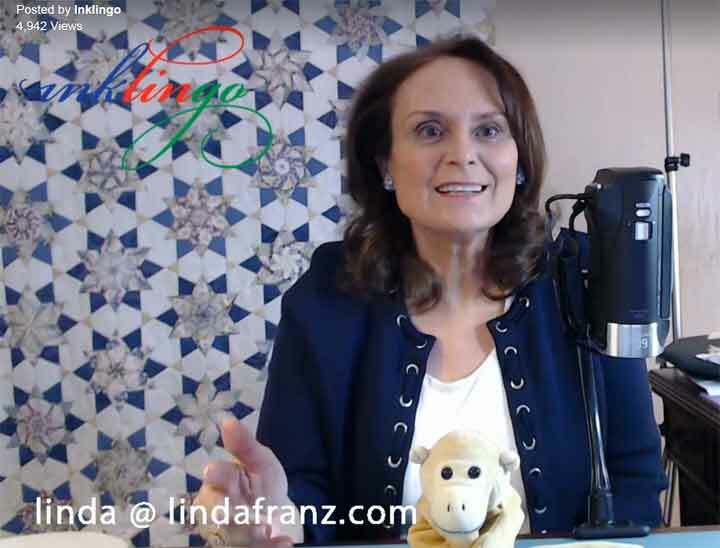 Click this image for the replay of Live Inklingo Video 07. Please tell your friends about the video because they may not know about it yet. If you missed it or if you need a review, you can watch Live 07 now, okay? Thank you for watching and thank you for visiting.